Ethiopia's Worknesh Degefa won the women's elite race by 42 seconds with a time of 2:23:31, holding off Kenya's Edna Kiplagat (2:24:13), Jordan Hasay of the United States (2:25:20), Meskerem Assefa of Ethiopia (2:25:40) and Des Linden of the USA (2:27:00). 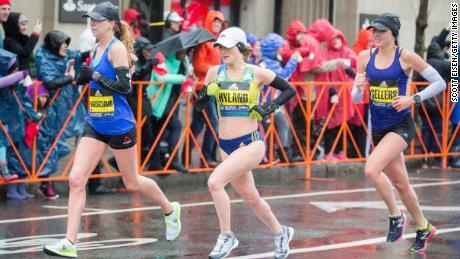 Registration for the 2020 Boston Marathon will likely open in September, according to the Boston Athletic Association (B.A.A.). McCormack finished in 11th with a time of 2:30.38.